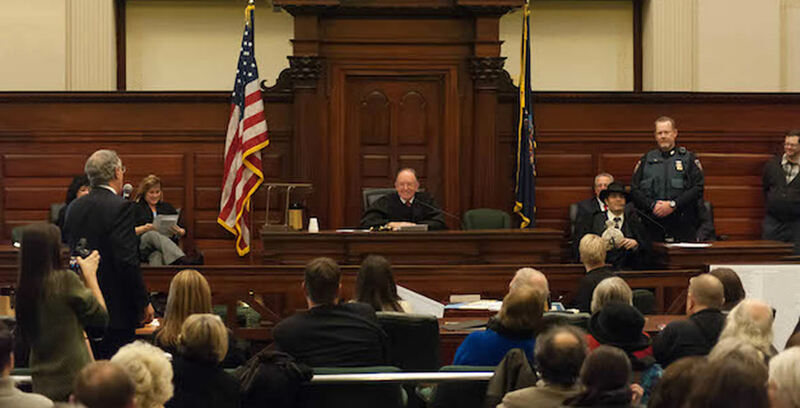 Sponsoring The Trial Before Christmas is Gramercy Communications, a public relations firm headquartered in the historic Troy Sentinel building at 225 River Street. A bronze plaque commemorating the site where “A Visit from Saint Nicholas” was first published is affixed to the building’s exterior wall, crediting Moore as the author. “The jury might order us to include an asterisk with that plaque,” said Tom Nardacci, founder and president of Gramercy Communications. Nardacci paid to have the Sentinel newspaper’s archives digitized, including the edition featuring the poem, and donated them to the Troy Public Library.